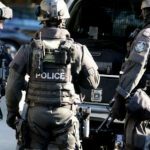 The NSW Government has pledged a record $3.9 billion to the New South Wales Police Force in its 2018-19 budget, with a commitment to more road side testing, initiatives to combat terrorism and new police stations. The announcement comes hot on the heels of recent claims by the NSW Police Association that the will face an unprecedented crime wave in coming years, and that police lack the resources to cope. 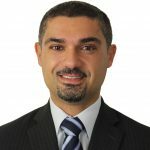 The NSW Bureau of Crime Statistics and Research (BOCSAR) has called the Association’s claims “alarmist and self-serving nonsense”, pointing out that overall crime rates are the lowest they’ve been in 40 years and that virtually all categories of violent crime have trended downwards for the past 17 years. BOCSAR says there is absolutely no basis for the Association’s claim, suggesting it was made for the sole purpose of securing additional resources for its members. As always, the Association says there are growing concerns about terrorism and bikie gang violence, and that these areas require more funding. There is a growing need, it claims, for specialist ‘military-style’ policing units like Strike Force Raptor, due to the way officers need to conduct themselves in response to threats. 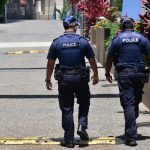 The Berejiklian Government says there will be an extra 100 police officers by the end of this year, promising the 3.9 billion in funding for the next financial year will be made available by the end of June. 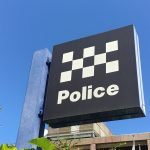 $118 million has been allocated to build six new police stations, including at Parramatta in Sydney’s west, Hurstville in the city’s south, and Port Macquarie on the mid-north coast. Eight police stations will be developed in country NSW, including at Adelong, Bonalbo and Collarenebri. An additional $83 million has been set-aside for policing on country roads, including for doubling the mobile drug testing program. 100,000 additional tests are expected per year. Following on from last year’s move to beef-up its arsenal of weaponry in the fight against terrorism, the state government is now turning its focus to monitoring ‘high-risk offenders’. Earlier this year, a new counter-terrorism unit was set up to investigate radical activity inside the prison system. Its primary focus is to target up to 100 people the government thinks may become radicalised. $26 million has been earmarked for the fight against readicalisation. The government is also making big investments into facial recognition technology and biometric scanners, with reports police will be provided with 1000 smartphone-compatible fingerprint scanners. The technology, worth more than $4 million will allow officers to register and verify identities on the go, as well as be alerted to outstanding warrants and other information on suspects. 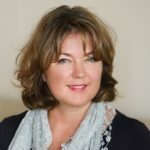 This is in addition to moves to install cameras that are said to be capable of capturing the illegal use of mobile phones from up to a kilometres away, and the federal government’s multiple surveillance initiatives which include a national database of citizens’ images and plans to facilitate biometric matching. Controlling or making us safer? But while the government moves towards greater control at the expense of personal liberties, there is a vast amount of evidence to suggest that preventative and diversionary strategies are far more effective in reducing crime. 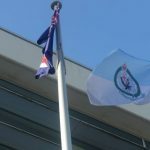 The NSW Police Service changed its name to the NSW Police Force several years ago, signalling a shift from a model with some emphasis on community policing towards one which focuses on control and the application of force. There has indeed been a notable shift towards strict enforcement and militarisation, with a raft of extra powers and reduced accountability mechanisms for police coming into effect in recent years including broader powers to arrest, immunity from prosecution during police operations, a new ‘shoot to kill’ policy, more weaponry, new divisions and greater firepower. Many believe this shift is against the interests of the community. Indeed, research suggests that an emphasis on community policing and respectful relations can encourage people to abide by the law, whereas strict enforcement, military-style tactics and punitive approaches to punishment can do the opposite. 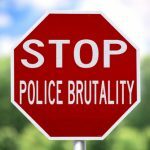 Sadly in Australia, community policing has become a thing of the past and videos of police officers committing horrendous acts of brutality against members of the community have become the norm. And with governments like ours, it seems likely that the ‘us versus them’ mentality is here to stay – for the short term at least.